I have to be honest – there were many things I wanted to buy last year, but I talked myself out of *most* of them because I knew that getting out of debt was more important (although the really cute sweaters and shoes I saw wanted me to think otherwise). The older I get, the more I realize how important paying off my student loans as soon as possible is to me. I hate the feeling of having debt looming over my head! So last year, I decided that after I paid off my car, I was going to try to attack some of my loans. That meant using some of my own spending money to pay extra on my student loans so that my principal balance would take a beating rather than just the interest that seems to pile up every month. It wasn’t an easy road. The hardest part was probably watching my allotted spending money come in and leave so quickly. To be real, this cycle got old really fast. 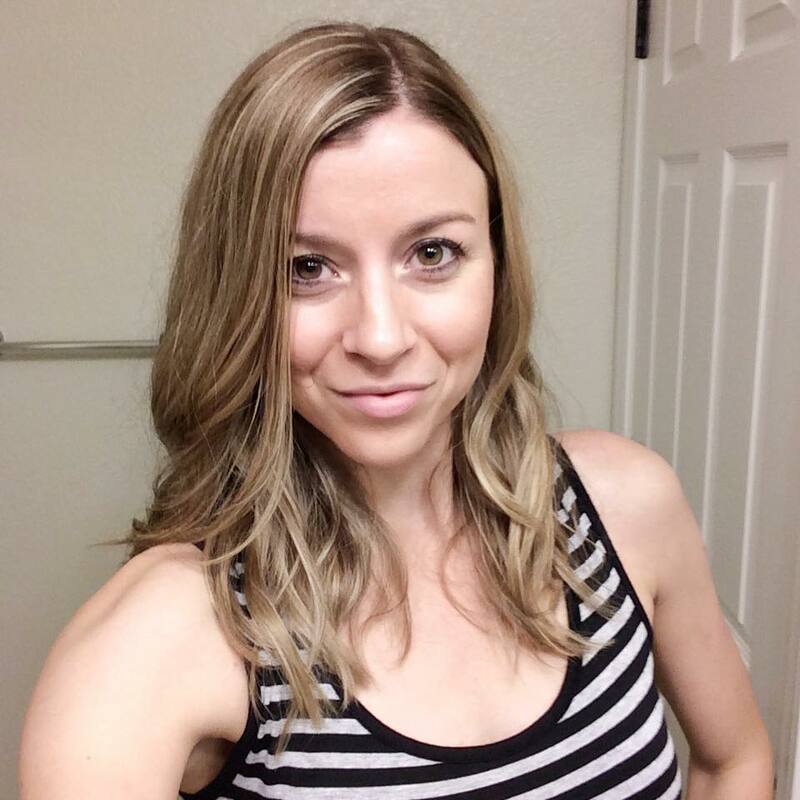 I decided that if this was going to be sustainable, I would need to make some extra income somewhere so that I didn’t feel like I couldn’t have money to spend on me (I know that sounds selfish, but I work hard for my money and I want to use it to learn new things, buy books, take my hubby on dates, and so on). So by the time the year was over, I successfully paid an extra $3,000 on my student loans (in addition to the minimum payments that were required). Disclosure: This post contains affiliate links, which means I will make a small commission from any sale made through them (at absolutely no cost to you)! As I said before, I wanted to have some money for my own using (I enjoy a good serving of froyo every now and then), but I still made it a point to have some of that money go toward my student loans. You may only have $10 extra a month to put toward your own loans, but every little bit really does count. Sure, I may not have been able to buy that extra shirt I wanted or I had to avoid eating out as much, but it didn’t take long to adjust and eventually, it just became normal. I also adjusted how often I was making payments on my student loans. Rather than letting the interest stack up between monthly payments, I decided to make my extra payments every week, or every other week. This took a bigger hit on the interest (which, let’s be honest, is the worst part about these loans). When I originally started Chase the Write Dream, I didn’t really understand that you could make money from blogging. Now that I’m three years in, I’ve learned that there are actually many different ways to make money not only from a blog, but online as well. Knowing this, I made it a point to follow through on some of the things I learned and made extra money that could be put toward my student loans. For one, I focused on my blog a little more and that helped to increase revenue. P.S. If you want to learn how to start a blog and possibly make some extra money, read my post Easy Steps for Creating a Blog. I also did some surveys and random tasks on Swagbucks. This isn’t a site where you can make a ton of money, but again, we are aiming at doing little things that add up. With a little effort, I was able to earn a few extra dollars every month to put toward my loan payments. Last summer, I was introduced to Poshmark, an app that allows you to list your unwanted clothes, shoes, and accessories for sale. I was apprehensive at first, but this app literally became a game changer for me. I do have to say that it took up a bit more time because it operates very much like a social platform in that you need to be actively sharing and promoting your items, but once I got into the groove, I found that I was selling my unwanted clothes and shoes very quickly. Learn more about how I became a top 10% seller within just a few months in this post: Selling On Poshmark: Simple tips for More Sales. We live in a world where we make online purchases on the regular, so why not get some cash back from them? I made a big effort to use Ebates anytime I did online shopping over the course of the year and it really added up! Those college textbooks you need to buy? There are several options available through Ebates! Same goes for school supplies, dorm room decor, and all those other things you need for college. Aside from Ebates, you may also want to look at getting a rewards credit card. IMPORTANT: If you take this route, make sure to pay off your credit card ENTIRELY every month so that you don’t get interest charges. I have the Chase Freedom card and I get up to 5% cash back on certain categories every quarter and 1% on all other purchases. Did you know that there are several affiliate programs out there that you can sign up for? Essentially, being an affiliate means you are recommending products to people and you get a percentage of any sale that is made through your affiliate link! Some people do this through blogs, but others do it through social media. If you choose this route, just be sure you follow all FTC disclosures (meaning you need to let people know that affiliate links are in your post either through a disclosure at the top or through the use of a hashtag – #ad or something along those lines). 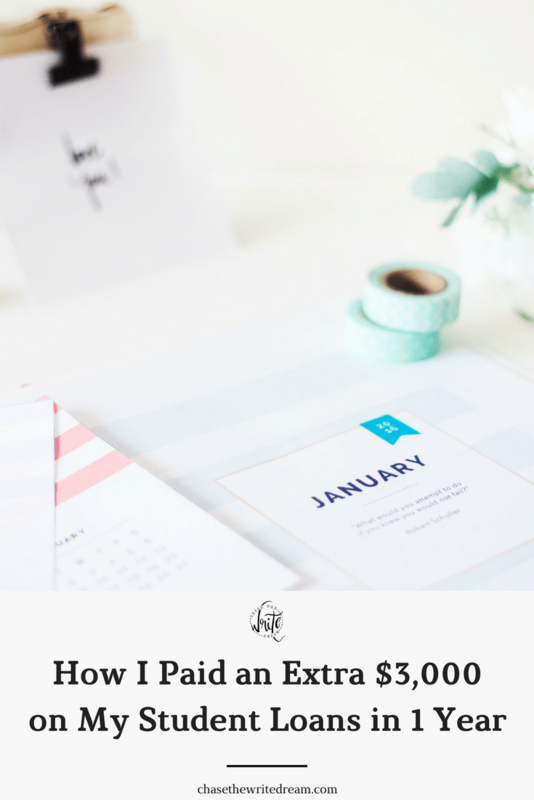 Now that I’ve given you some perspective on how I paid extra money on my student loans last year, it’s time for you to get started so you can attack your debt! From the list above, which one are you going to make an effort to do? I like your idea to use your that extra money from cash back to put towards your debt. A little goes a long way! I have learn to apply any extra I pay towards the principle and to not just make a regular payment. Yes, such an important point to keep in mind, otherwise you end up paying so much more interest.